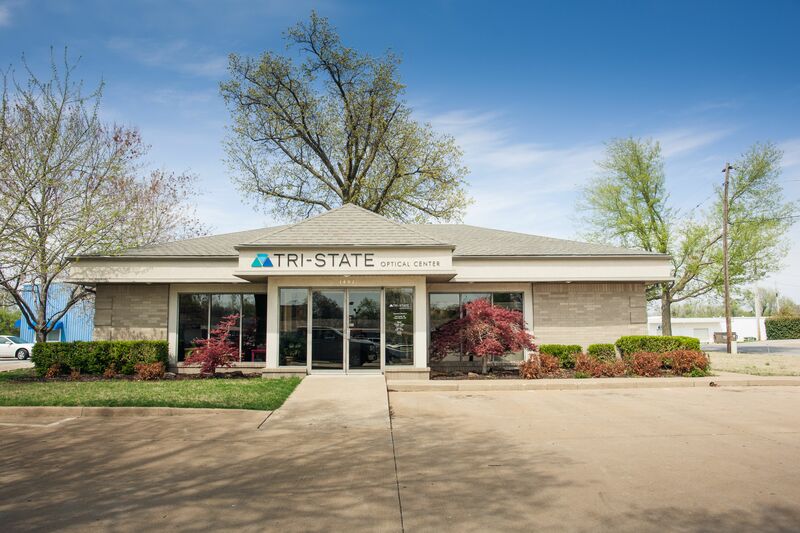 Welcome to Tri-State Optical Center in Rogers. Dr. Kate Landis and the Tri-State Optical Center team strive to provide the finest in optometry services. We invite you to browse our website to learn more about our optometry services, and invite you to join our patient family by scheduling an eye exam appointment at our Rogers office. Tri-State Optical Center is a full service eye and vision care provider and will take both eye emergencies as well as scheduled appointments. Patients throughout the Rogers area come to Tri-State Optical Center because they know they will receive the personal attention and professional care that is our foundation. Our team is dedicated to keeping our patients comfortable and well-informed at all times. At Tri-State Optical Center, we will explain every exam and procedure and answer all of our patient's questions. Additionally, we will work with vision insurance providers to ensure good eye health and vision care for all of our patients. Our one-on-one approach to optometry makes Tri-State Optical Center the eye and vision care provider of choice in the Rogers area. We offer the following services: complete eye exams, contact lenses, glaucoma testing, and pre- and post-operative care. For a complete list of services, visit our services page or call our Rogers office at 479-636-2012. At Tri-State Optical Center, we are dedicated to providing high-quality optometry services in a comfortable environment. Call us at 479-636-2012 to schedule an appointment today! "Can't say enough great things about this place! Dr Landis is awesome.....and the staff is knowledgable and up to date with lenses/design/trends....you name it." "We visit Tri-State Optical 2-3 times a year and the staff is polite, friendly and helpful. We adore Dr Kate Landis and feel like we are visiting a friend each time we go. I have no reason to go anywhere else and do not plan to. It is …MoreWe visit Tri-State Optical 2-3 times a year and the staff is polite, friendly and helpful. We adore Dr Kate Landis and feel like we are visiting a friend each time we go. I have no reason to go anywhere else and do not plan to. It is important to go to a medical provider you feel comfortable with and can trust to give you the correct information when it comes to your health. We are very satisfied with Tri-State." "The staff here are always professional, courteous and fast. I've never been to a better optometrist that feels this welcoming. I definitely recommend this place for those in need of glasses, as they are life savers if you do. - Don M.
Great staff of professionals. Always greeted with a smile. Little if any wait time. Tests are done efficiently but not rushed. Conversation is easy and relaxed. Questions are answered in full. The entire staff is an example of excellent customer service. I will definitely return and have no reservations in referring friends to Tri-State."